REN CLEAN SKINCARE's Glycol Lactic Skin Renewal Mask is a godsend for congested, sun damaged and mature skin. Made with 5-6.5% Glycolic Acid, it is both gentle and effective at exfoliating away dirt, actively dissolving the bonds that hold dead skin build-up to reveal a healthy glow. This is one of REN's top-selling products because once people try it they rarely stray to another mask for cleaning the skin of the weekly flotsam and jetsam. The active element to this mask is a 100% pure fruit acid complex (lactic, glycolic, tartaric and citric) and papain enzyme (from Papaya). These ingredients create a gentle but potent exfoliating action that targets dull, congested and mature skins. The AHAs resurface the skin, visibly improving firmness and radiance, while at the same time reducing fine lines, post acne scarring, blemishes and blackheads - the outcome is a bright, new complexion. Not suitable for very sensitive skins. Apply a generous amount onto clean skin over the face and neck, avoiding the eye area. Leave for 10 minutes. Dampen enclosed cloth and gently wipe off mask. Rinse skin with warm water. Slight tingling may be experienced during application. Use weekly. Not recommended for sensitive skin or for use just after shaving. Aqua (Water), Polysorbate 60, Glycerin, Lecithin, Lactic Acid, Vitis Vinifera (Grape) Seed Oil, Ribes Nigrum (Black Currant) Seed Oil, Vaccinium Macrocarpon (Cranberry) Seed Oil, Citrus Medica Limonum (Lemon) Fruit Extract, Xanthan Gum, Maltodextrin, Sodium Lactate, Carica Papaya (Papaya) Fruit Extract, Passiflora Quadrangularis Fruit Extract, Ananas Sativus (Pineapple) Fruit Extract, Vitis Vinifera (Grape) Fruit Extract, Alcohol Denat., Limonene, Phenoxyethanol, Parfum* (Fragrance), Hippophae Rhamnoides Fruit Extract, Tocopherol, Sodium Hydroxymethylglycinate, Linalool, Citrus Nobilis (Mandarin Orange) Peel Oil, Citrus Tangerina (Tangerine) Peel Oil, Citrus Grandis (Grapefruit) Seed Oil, Potassium Sorbate, Sodium Bisulfite. I use this a couple of times per week and boy does it bless you with an incredible glow. I used it the day after very late party night and could see the difference. My skin was bright, toned and plumped! This is, as someone else said, unusually sticky, but if you persevere a little goes a long way. It smells lovely, if strong, and even though I was concerned it would irritate my sensitive skin, it didn't at all and instead cleared it up if I used it once a week. Also, if I feel a spot coming I'll just apply a concentrated dose to that area and it will sort it out. It is a bit of a peculiar substance but you can get it off really easily with the gentle cloth that comes within. It comes in a pump and the pump has a cap and ANOTHER cap which is amazing. You will see immediate improvement in marks and spots after use. I had a little sample of this with my recent order and I was impressed. The smell was amazing and I don't mind the thick consistency as a small amount goes a long way. There was a small amount of tingling and pinkness (but that's my skin most of the time!) but asfter, my skin was very soft. Great addition to my routine of getting ready for a party! This mask never fails. I use it for special evening's out or in the morning when I know I have an important meeting or the like. It has a strong citrus scent that I quite like, and seems to gently slough of the top layer of dead skin, revealing super-smooth skin that seems to glow from the inside. Radiance in a bottle. Never fails. I had high hopes for this mask, having heard so many great reviews by beauty YouTubers. I thought it was a little steep in price, but took the plunge anyway. The smell is divine and the consistency is like applying marmalade to your face. It doesn't sting or tingle once applied but I did feel my face gradually flush for as long as it was on. By the end of the recommended 10 minutes, my face was always quite red but this disappeared soon after I washed the mask off. I removed the mask with the muslin cloth that comes with the mask. My face did look more radiant after using it but it didn't wow me enough to think that this mask is something I would repurchase or recommend to a friend. It's one of those that I think you'd try once to see what they hype is about but probably wouldn't miss if it was discontinued. This has a very sticky set-honey-like texture so make sure you tie your hair back before putting on your face. 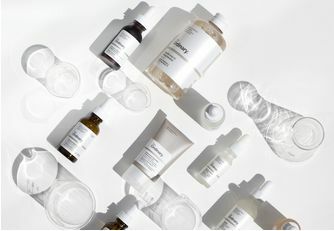 My skin is a little sensitive so I am always tentitive with face masks, even the more natural ones which can contain essential oils that bring me up in hives! This did tingle when I put it on and my face was a little red afterwards, BUT my word did this make my skin look lovely. The dullness from smoking was totally gone, replaced with a lovely glow that lasted a few days. This mask might be a problem product for people with really sensitive skin but I love it. After using this mask my skin looks like after photoshop.I have tried another acid mask.but this is the best I ever used. If I had to pick out my 5 favorite products of all time, this one would make the list. Every time I want glowing skin, I use this. Fantastic product. This really is unbelievably sticky - I was quite surprised to almost have my fingers stuck to my face trying to apply the goo to my face. But the smell is lovely, and after a while, I could feel my face starting to tingle. I left the mask on overnight and woke to poreless, beautiful and extremely smooth skin that I had to touch every few moments during the day because it was so very smooth and soft. A huge difference even after one application. Such a winner! I'm happy to find this mask. It is my #1 in my collection. My skin oil is very oily with clogged enlarged pores. Radiance mask works with these issues perfectly! I feel my skin extremely clean and "breathing"; it's bright and glowing. And all products work much better after this mask! I had high hopes for this mask and i really do wish it suited me because the reviews for this mask sound brilliant. It has a lovely texture and smells beautiful but unfortunately I had some kind of bad reaction. I was expecting a tingling sensation but it began to really burn within the first few minutes of application. For this reason I would say to avoid if you have sensitive skin for sure. This mask is very potent, I already see results after one application and thought my skin is quite sensitive I did not suffer from any redness with this mask! Great product! This has been a regular in my bathroom for years, it just leaves my skin looking lovely and cleans off the dry, dead bits that leave it looking grey. My skin is really dry and has an olive colour so looks really grey/sallow in winter if I don't look after it. 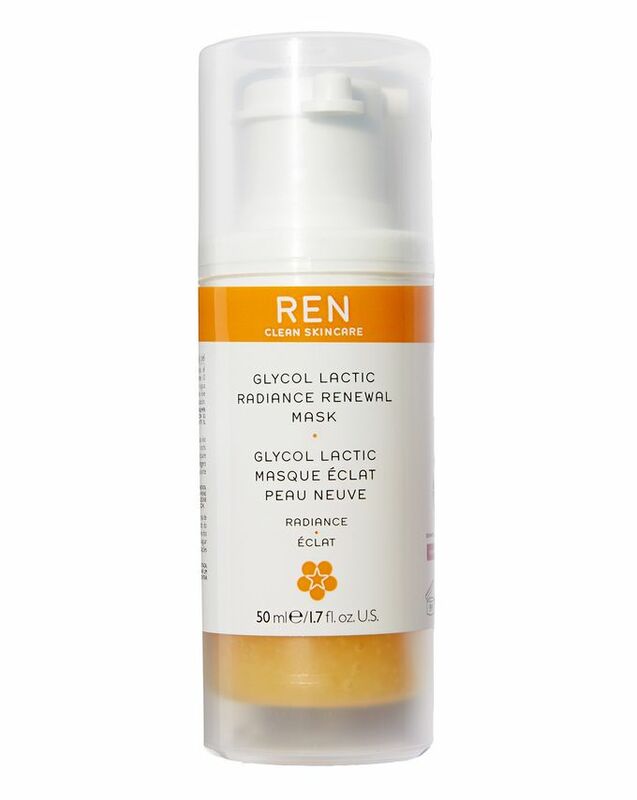 REN Peel Mask goes on and washed off easily and I only have to use a little bit so the tube lasts well.